BRASILIA (Reuters) - Brazil's top government finance and spending regulator is expected to report in the coming months that Rio de Janeiro will receive almost none of the environmental benefits promised by organizers of the 2016 Olympic Games, officials working on the report told Reuters. The report is being prepared by Brazil's Federal Audit Court (TCU), a body responsible for auditing federal government spending that reports to Brazil's Congress. "As for now, we have nothing relevant to report about what was done in the environmental area," said one of the officials. The TCU is still looking for evidence of environmental improvements carried out as a result of the games that the city and its residents will be able to count as an environmental legacy, the source said. Brazilian municipal, state and federal governments promised that the 40 billion reais ($12.2 billion) expected to be spent on the Olympics would include the construction or expansion of essential environmental infrastructure and other social improvements. 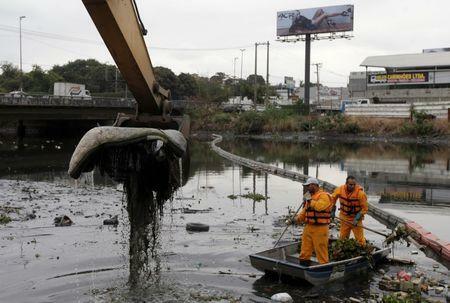 Those promises included reducing the flow of trash and raw sewage into the city's Guanabara Bay and Rodrigo de Freitas Lagoon as well as the construction of sewage infrastructure on lagoons and swamps adjacent to the Olympic Park and Village. Water quality remains low with sailors, rowers, swimmers and other watersports competitors criticizing venues for high concentrations of bacterial and viral pathogens. Sailors also worry floating trash will slow or damage their boats. There is little chance the TCU report will result in any punishment for organizers as most of the spending for the games, which run from Aug. 5 through Aug. 21, was channeled through Rio de Janeiro's state and municipal governments. Last year, the TCU released a preliminary report on the Olympics that concluded the environmental projects promised for the games would not be finished before the games began. "We're reviewing our work to show that even with the games about to begin there have been no significant advances in this area," the source said.